Binary accounts are now available in all standard base currencies offered for Dukascopy Live accounts: USD, CHF, EUR, GBP, JPY, AUD, CAD, DKK, ZAR, MXN, NOK, NZD, PLN, RUB, CNH, SEK, SGD, TRY and HKD. Binary contracts are opened in the base currency of the trading account. Dukascopy is glad to announce that the USD/CNH instrument is now available in LIVE trading environment. Dukascopy Bank launches Social Signal Trading service on Live. Now LIVE account holders are able to replicate on their LIVE accounts the trading activity of Dukascopy Trader contest participants. Availability of the service for Dukascopy Europe clients will be announced separately. Find out more information on Social Signal trading page. Dukascopy Bank is pleased to officially announce the opening of Dukascopy (Shanghai) Business Consulting Co., a member of Dukascopy Group in Shanghai, China, on 15th of May 2014. This office aims at supporting non-regulated activities of Dukascopy Group such as financial media / Dukascopy TV, social media activities including but not limited to FX Dukascopy Community contests, provision of technology, market information and analysis. Note: Dukascopy (Shanghai) Business Consulting Co. does not provide any regulated financial services of Dukascopy Group. Gold and Silver (XAU/USD and XAG/USD) trading will stop at 17:00 GMT on Friday 4th of July 2014 as US markets will be closed for Independence Day. Metals trading will resume normally in the Asia trading session on Sunday 6 July 2014 at 22:00 GMT. Be cautious of lower liquidity for all instruments during US trading hours on Friday, 4 July 2014. Dukascopy is glad to announce that a new instrument – USD/CNH has just been added to its tradable instruments range and is available for trading on DEMO. Introduction of the new instrument on Live environment will follow shortly. 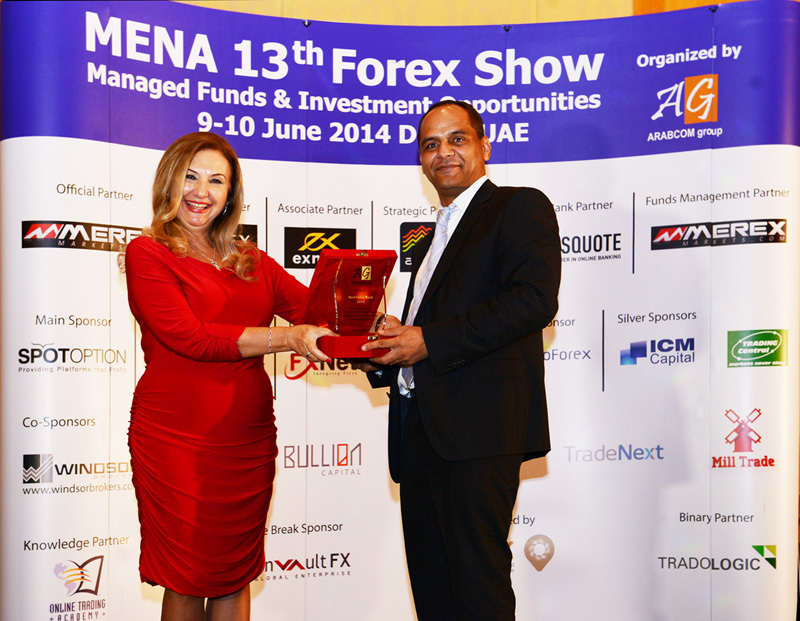 At the occasion of the MENA 13th Forex Show, ARABCOM Group recently awards Dukascopy Bank SA as the Best Forex Bank. We are very proud of this outstanding achievement which is a significant indicator of the quality of the Bank recognized at the international level. Dukascopy Bank together with Forexmagnates study main factors Brokers and Banks need to know to succeed as an Fx White label Partner. Please read the article. Dukascopy Bank SA introduces a new rollover policy. Starting from June 30, 2014, two additional rollover schemes will be available: Premium and Advanced. The clients will be automatically switched between the schemes at the end of a trading day based on the trading activity over the last 30 days. The more the client trades the better rollover rates are applied. More details here. The unique combination of high society, leading edge fashion, financial technology and Forex trading came together at Geneva's prestigious Four Seasons Hotel Des Bergues for Dukascopy Bank's monthly Geneva Forex Event, one of the stylish city's most prominent monthly fixtures. At the May event, Forex Industry News Source LeapRate attended, with Managing Editor Andrew Saks-McLeod covering the entirety of the event, which hosted 500 high net worth financial professionals in an environment of sophisticated haute couture. Dukascopy Bank is set to host the next Geneva Forex Event on June 20, which encompasses an exceptional FASHION SHOW. The avantgarde Dukascopy Bank provides the ultimate opportunity to network among the movers and shakers of the trading world, and the upper echelons of the FX world, as well as sample a lap of luxury with no holds barred. We would like to inform you that, starting from the 1st of July, 2014, JForex platform on LIVE environment will no longer support JAVA 6 (as Oracle does not support JAVA 6 anymore). We kindly ask you to check your PC and upgrade to JAVA 7 if necessary so that you can continue using the platform successfully. If you are using a Mac, you will need an Intel-based Mac running Mac OS X version 10.7.3 (Lion) or above. Demo version of the JForex platform built on JAVA 7 will be introduced on 16th of June 2014. We are proud to announce that Dukascopy Community has launched a new contest: "I Love Extreme" with quarterly prize fund of $ 3'000. Clients are invited to join the new contest and share their fascinating and inspiring experience following the link. Dukascopy Bank is unveiling binary options trading service on Live. As was announced previously, Up/Down type options with fixed uniform payouts of up to 90% and FX price feed directly from SWFX will be offered to clients. Major FX pairs will be offered at first, other type of instruments will follow soon. At the beginning the service will be provided only by Dukascopy Bank. Unlike forex accounts which start at 5000 USD the minimum deposit threshold for binary options accounts for new clients is only 1000 USD. And there’s some more good news – existing clients of the bank may open a binary sub-account without minimum limit on the deposit. Find out more information on trading conditions. Gold and Silver (XAU/USD and XAG/USD) trading will stop at 17:00 GMT on Monday, May 26th as US markets will be closed for Memorial Day Holiday. Metals trading will resume normally in the Asia trading session on the same day at 22:00 GMT. Be cautious of lower liquidity for all instruments during US trading hours on Monday, 26 May 2014. Dukascopy Europe (EU-based subsidiary of Dukascopy Bank) is participating in "IT Forum di Rimini" on May 22nd-23rd. Dukascopy Community has launched a new contest: Binary Options Contest with a monthly prize fund of 5000 $. Clients are encouraged to try the new Binary Options platform and to compete for money prizes. Click here for more information. The Binary Options currently available only on demo. Live trading will be available later. Dukascopy has launched its Discount Program. New and existing self-trading clients can get a 20% trading fee discount. More information about the Discount Program here. This Sunday, 30th of March, clocks will be set forward by one hour in many countries of the northern hemisphere. While there is no change in the Dukascopy opening hours from Sundays at 21:00GMT to Fridays at 21:00 GMT, the change to summertime means that market will again open at the ‘normal’ time of 11pm for Western European Traders. In Europe clocks will be set back to wintertime on Sunday 26 October 2014. After a rapid expansion in the global market with new offices opened in Hong Kong, Kiev and Moscow, Dukascopy Bank expands its local presence by opening an Office in Zurich. The Zurich team will provide full support to all its clients. The office will be located on Bahnhofstrasse 52, the very centre of the city, making it easily accessible for everyone.